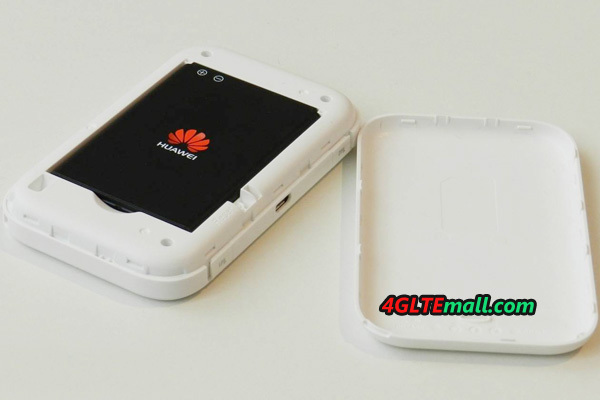 Since we get the Huawei E5372 recently, we have another 4G mobile router in the test now. The Huawei E5372 is the little brother of the successful Huawei E5776 4G Mobile WiFi, and offers some improvements technically compared to other models tested before. The improvements includes, for example, supporting Wi-Fi in the 5 GHz range and a repeater function. The Huawei E5372 modem is already known by many operators: it offers 2G GSM, 3G UMTS and 4G LTE (Category 4 of up to 150 megabits per second for download). Huawei E5372 is a quite cheap LTE Category 4 Hotspot, even cheaper than the Vodafone branding model (the name is Vodafone R215). Now you can get the HUAWEI E5372 on 4gltemall.com . The Huawei E5372 4G Router comes in a small cardboard box, which itself contains a micro USB cable and a quick guide next to the device. The E5372 can get power supply directly from the USB cable when connecting it with PC, or use a power adapter to charge power. However, the capacity of 1780 mAh battery is really disappointing when most of the 4G mobile hotspots are using battery of more than 3000mAh currently. The first impression of Huawei E5372 is good. The optional white or black plastic is dull and does not attract fingerprints, the weight is 130 grams and the dimensions are quite pleasant with a 99 mm x 62 mm x 14 mm, which is very compact for an LTE-capable device. On the front, a small OLED display is placed, which displays all the important information and also allows certain settings in combination with the power button and the side menu button. Also on the side, there are two antenna connectors of type TS-9, so the Huawei E5372 is the first LTE Category 4 mobile Wi-Fi router with external antennas to be fully compatible 2 x 2 MIMO data transmission. 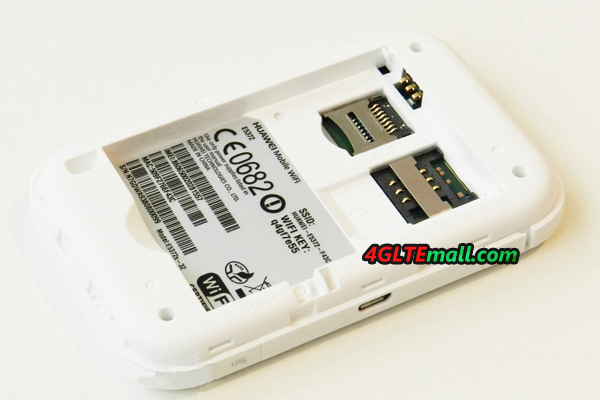 Also a MicroSD slot for memory cards of up to 32GB is installed at the side of SIM card slot. Unlike HUAWEI E5776, the battery of HUAWEI E5372 is removable, user need to insert SIM card and cover the battery, then the device is working. Someone may ask where to buy HUAWEI E5372 Antenna, actually, we have already 4G LTE antenna (TS-9) from HUAWEI available on 4gltemall.com .